Most libraries frown on writing in books. 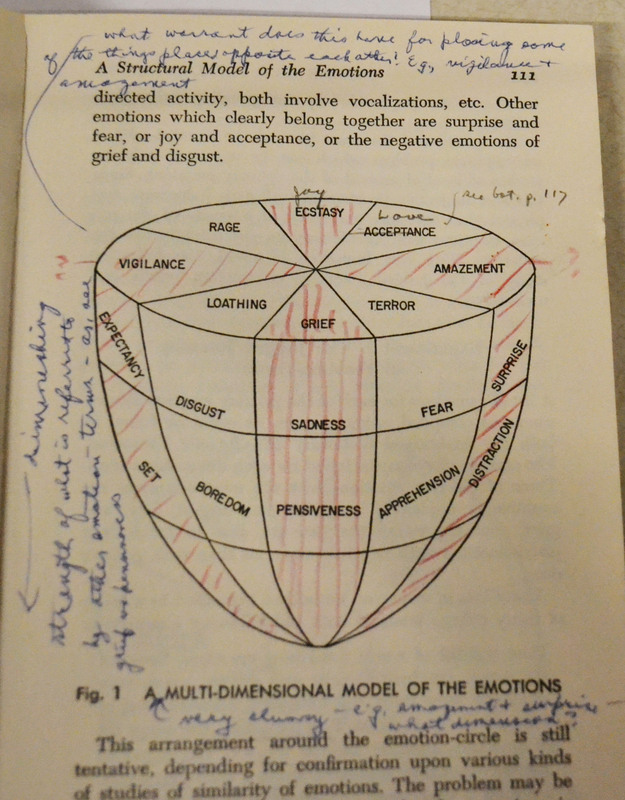 At the CHP, we like to see the handwritten notes psychologists have made in the books that they donate. Recently, I have been cataloging the books of Robert W. Leeper (1904-1986), who was a prolific annotator of his books. The margin notes provide insight into his thoughts, research, and personality. In a number of cases, CHP already had a copy of the book in the library. Leeper’s copy with annotations isn’t just another copy; it is a unique resource that no other library in the world holds. The books, taken together with Leeper’s personal papers, enhance the researcher experience at CHP. Robert Leeper heavily annotated “On Purposeful Systems” by Russell L. Ackoff and Fred E. Emery. He may have written notes for a review or teaching purposes. 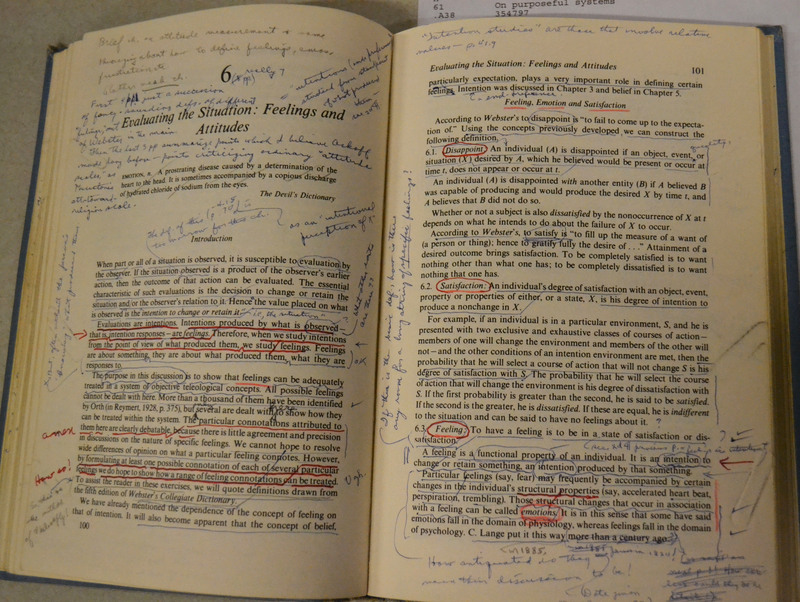 The CHP also holds other books that have been annotated, such as those from the Animal Behavior Enterprises collection and the Muzafer and Carolyn Wood Sherif papers. 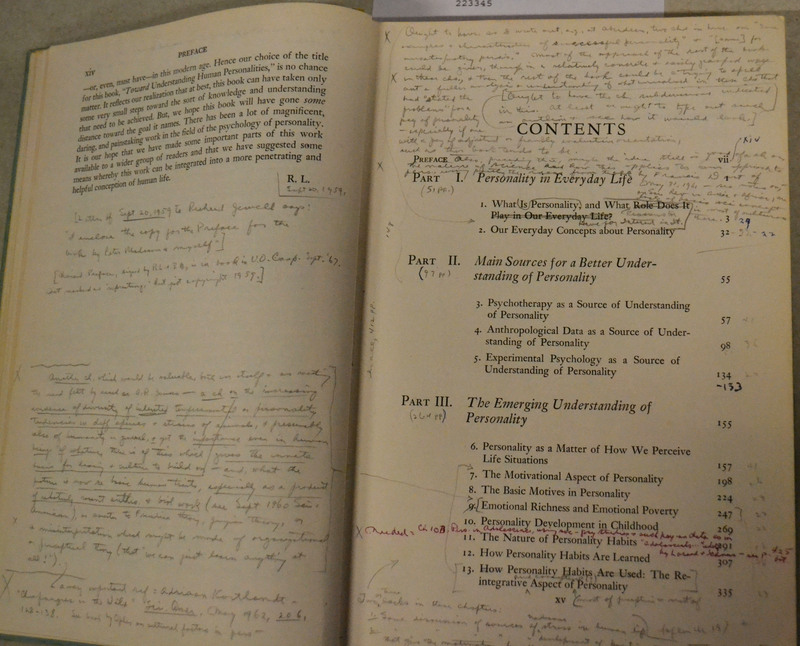 Annotated books are included in the UA Libraries online catalog, with annotations identified in the notes section of the records. 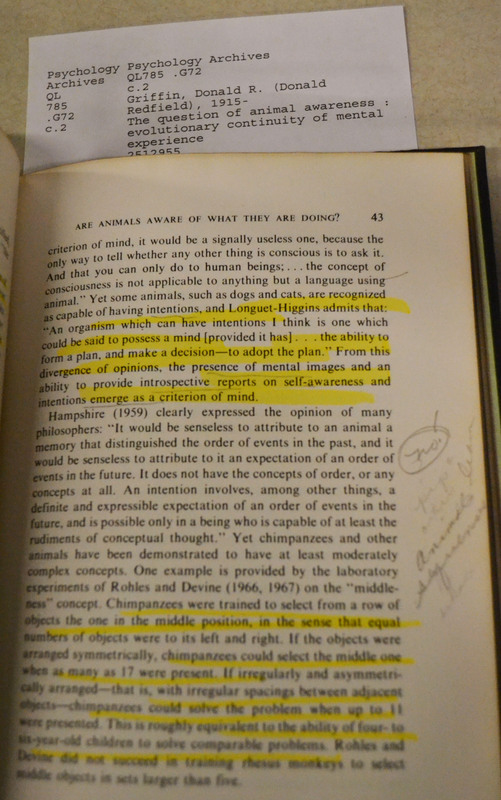 While we are not sure who highlighted and annotated “The Question of Animal Awareness” by Donald R. Griffin, it was included with the Animal Behavior Enterprises donation. Some of the margin notes list animals used in ABE training. 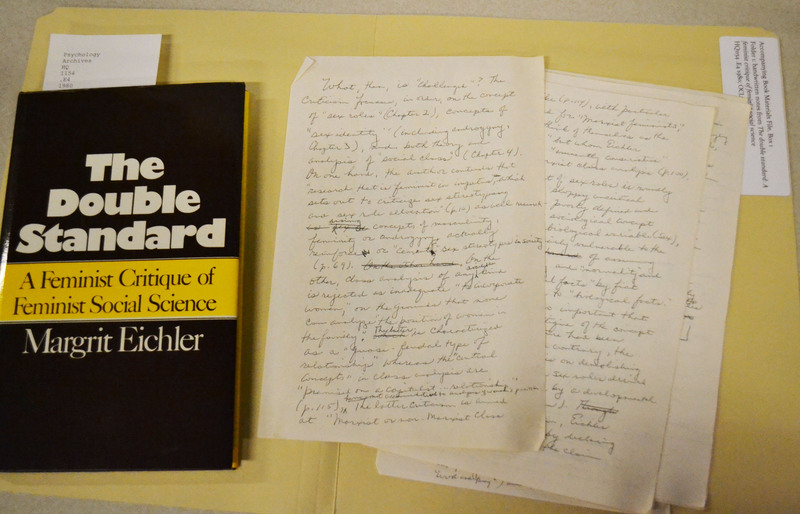 “The Double Standard” by Margrit Eichler was included in the Sherif papers donation. This book included annotations but also handwritten documents. For preservation purposes, the CHP stores the handwritten documents separately and notes the separation in the catalog record.